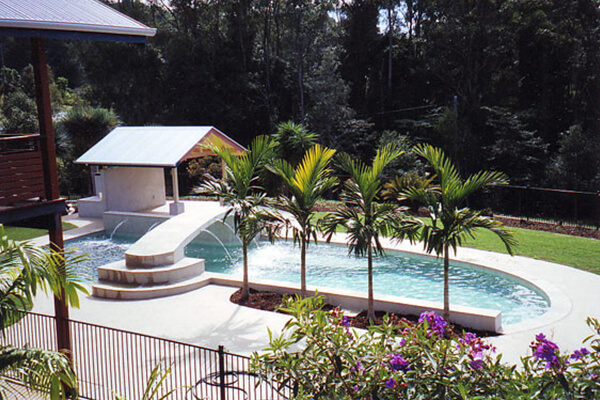 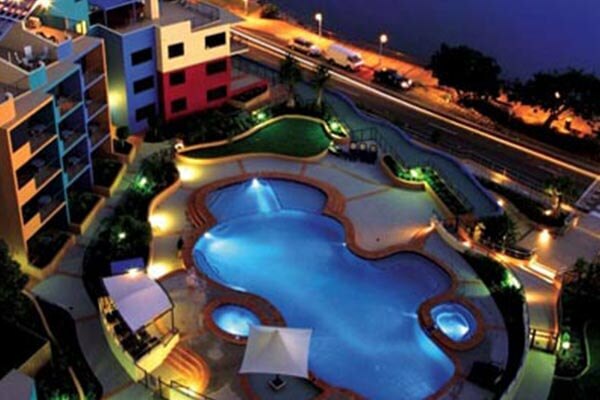 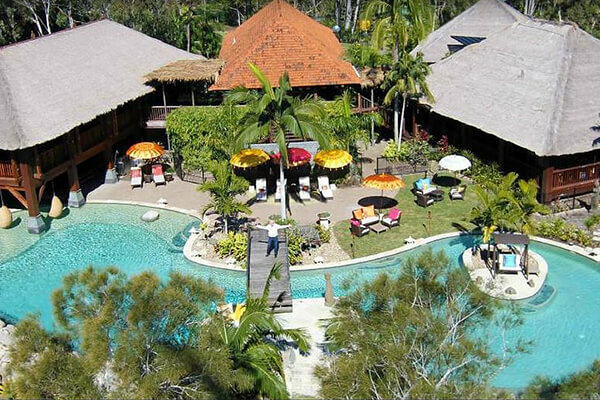 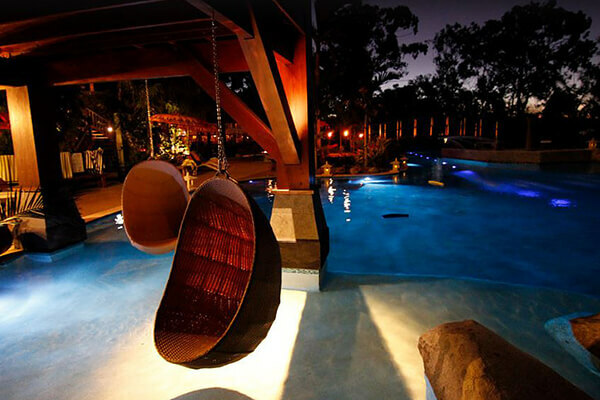 Some of the best and most imaginative swimming pools on the sunshine coast have been designed by Rob Burrell. 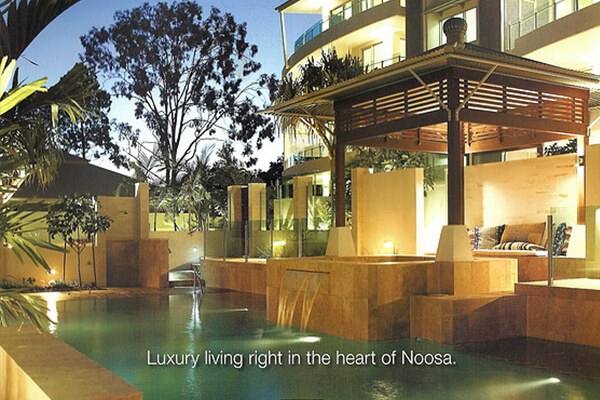 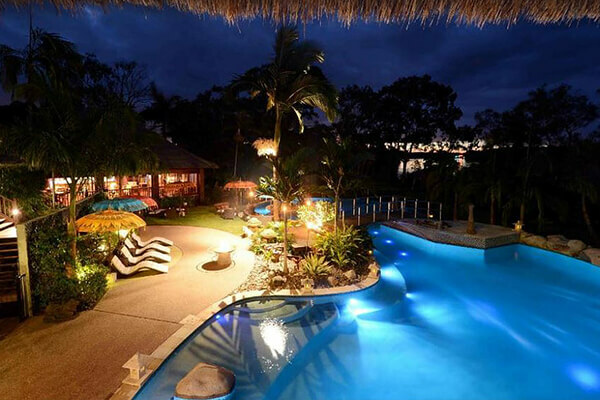 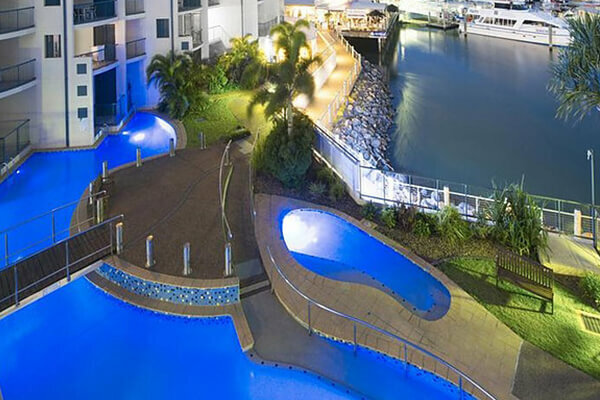 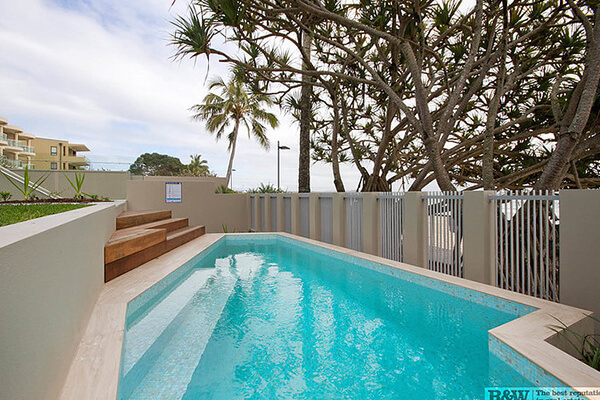 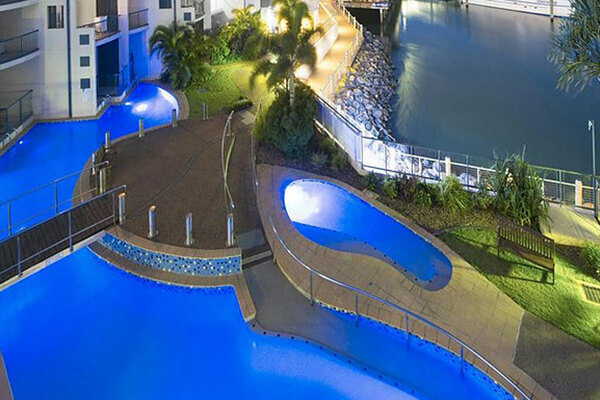 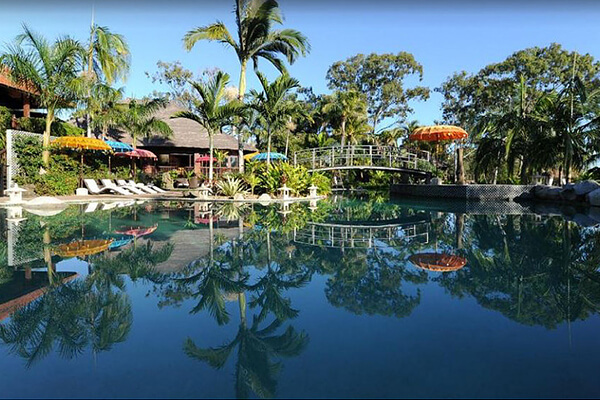 Sunshine Coast Landscapes have contributed site responsive siting,shape forming, landscape design, and engineering innovation to swimming pools from Caloundra to Noosa over more than two decades. 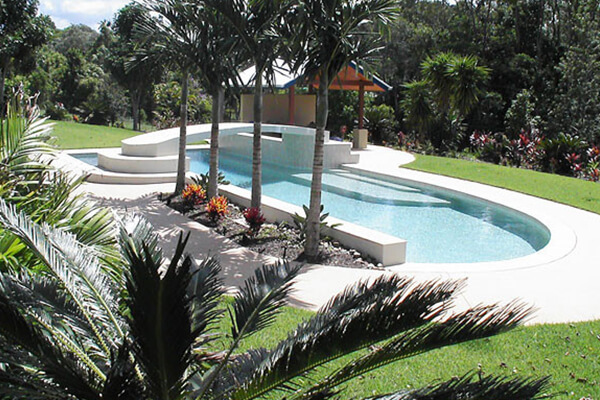 Some of our best pools have bridges spanning them midway (to give that over water experience), infinity edges, waterjets or curtains, deep diving areas, lap swimming opportunity, natural rock inclusions, vertically projected pool edges, beach style entries ( ideal for wildlife). 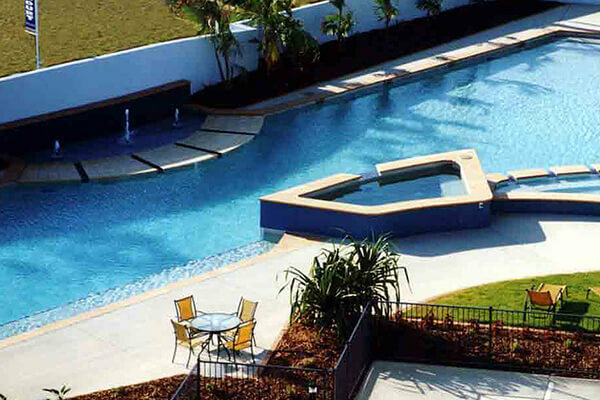 Swimming pool design brings together the fluid beauty of water, line and form along with the practicalities of construction. 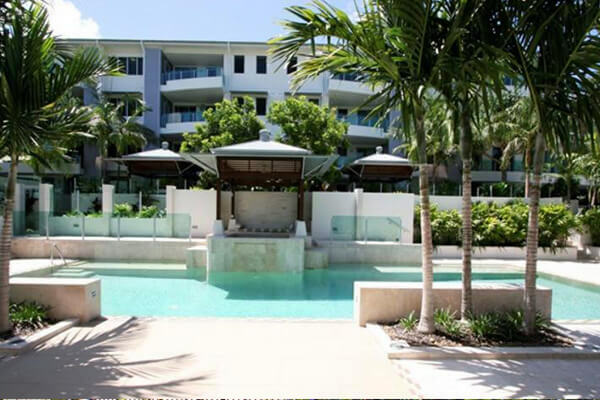 Our view is this – it is an important addition to any home and an essential ingredient in a multi-unit residential or resort development. 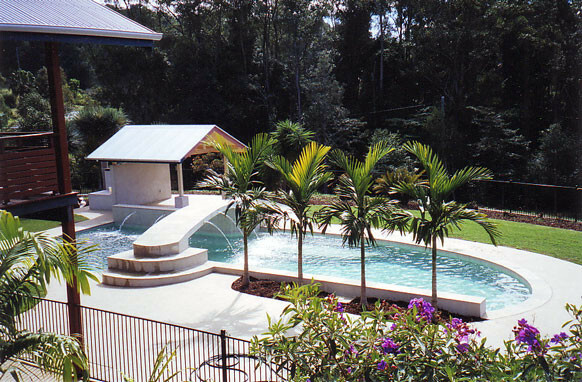 A swimming pool can reach its best potential if it is well informed by a professional Landscape Architect.